If you’re in the market for a new 5.25-inch car speaker system, this is just the guide you need! We’ve scoured the market for the best car speakers available and have found some incredible sound systems to choose from. From great entry-level options to high-end speakers, there’s something for everyone on this list. There are so many technological advances in audio these days, these speaker systems are going to give your vehicle the audio overhaul it deserves. Here is Dig My Ride’s list of the top 5.25-inch speakers on the market today! What is the Most Important Feature to Look For in a 5.25-Inch Speaker? 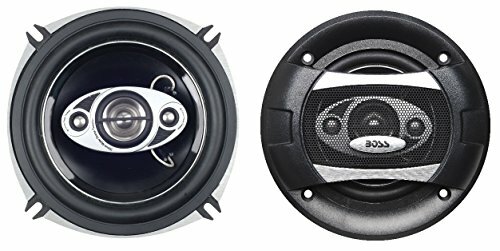 What do you Recommend for Someone New to Car Speaker Systems? 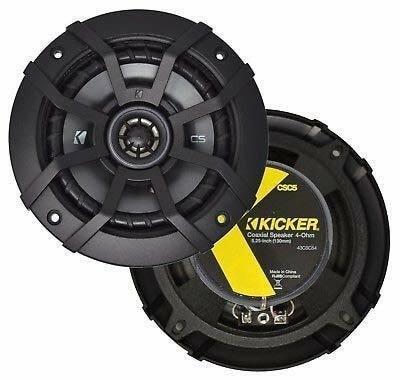 For monster audio power at a fairly decent price, you have to check out the Kicker CSC5 5.25-Inc 225W speaker system for your next vehicle upgrade. Here’s what you need to know about these incredible speakers that really pack a punch. We love these speakers for their incredibly deep and powerful bass, as well as their rigid construction. You’ll rest easy knowing you purchased one of the most durable speaker systems on the market. These were designed with you in mind, and these speakers can take virtually anything thrown at it. When it comes to quality, you don’t get better than these. While they are a little more expensive than some of the other options on the list, these are for the serious audiophile – if you want the best of the best for your car speaker system, these are the speakers you need. Check out these bad boys today! Coming in at a close second on the list are the JBL GTO529 Premium 5.25-Inch speakers. JBL is known for their high-quality consumer audio products, and these speakers are no different. It was a close call between these and the Kickers for the top spot, and it’s easy to see why. These incredible speakers are known for their intense bass and their insane highs. You won’t go wrong by choosing these speakers if you’re in need of a serious upgrade for your audio. These are also designed with every car in mind, meaning installation is a breeze. If price isn’t a concern for you, these make a great option for a premium audio upgrade. When compared directly to the Kickers, they fall short in the durability department. While both are very durable, the Kickers are built with a rugged environment in mind – if you’re not pushing your car to the limits, the JBL speakers would be an awesome option for you. If you’re looking to upgrade your audio system in your vehicle, keep these on your list. 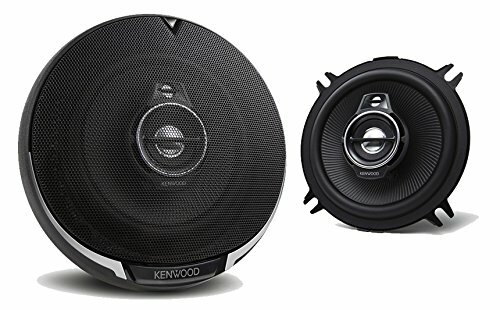 For absolutely insane power that everyone will notice, check out the Kenwood KFC-1395PS 320W speaker. Decently priced and focused on pure audio power, these are a great choice for any audiophile. If you’re looking for out of this world sound output at a good price, be sure to keep these in mind when you’re shopping around for new vehicle speakers. With 320W per speaker, it’s hard to find speakers with more wattage output. They’re also pretty decently priced compared to other models out there, meaning you can get awesome sound power without having to break the bank. These are a solid choice for anyone looking to upgrade their sound system and maximize their audio output. While it can handle 320W, keep in mind that you may get some distortion at maximum volume. Next on our list is one of the most budget-friendly 5.25-inch speakers available today, making the Pyle PL53BL 5.25-Inch 200W speakers a fantastic choice for an entry-level speaker system on a budget. 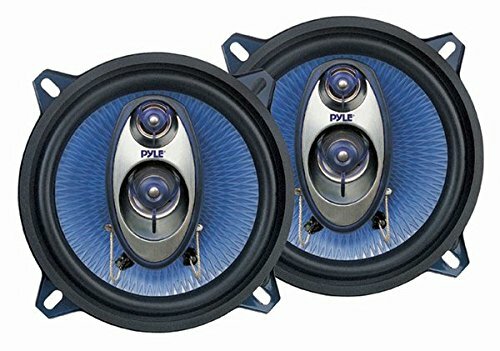 If you’re just learning about speaker systems or are just getting into audio upgrades for your vehicle, these are a great choice for you. These budget-friendly speakers still pack a pretty powerful punch while offering incredible value. Offering 200W per speaker, these compete with some higher-end speakers in audio power. With a very wide frequency range of 100Hz – 20kHz, these dynamic speakers can handle a lot. Keep in mind that the price often reflects durability, so we would recommend against testing the limits of these speakers to protect them from blowing out. For a fantastic entry-level speaker system that’s going to provide solid performance and audio output, check out the Pyle PL53BL today. Another solid mid-level 5.25-inch speaker is the Pioneer TSG1345R 2-Way speaker. 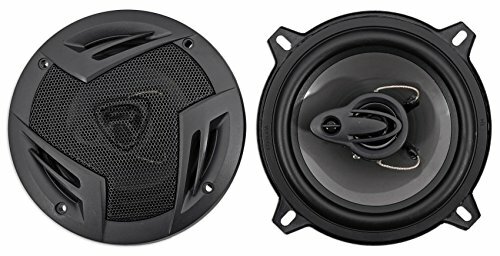 Featuring great audio power at 250W and solid design and construction, the Pioneer is a good choice for anyone looking to upgrade their car speakers for a decent price. This speaker has respectable performance, durability, and sound quality, making is a good mid-level speaker system. If you’re looking for a quality, durable speaker without breaking the bank, the Pioneer may be a great choice for you. Pioneer is known for solid construction and quality audio technology, making these speakers a perfect addition to your vehicle. We love these speakers for their powerful sound output and great price – they also have some pretty solid construction. We did notice that they may need some modifications to fit some speaker spaces, but they shouldn’t need extensive modifications. Check these out for good, quality speakers that are perfect for an entry-level system. For pure power at a great price, the Rockville RV5.3A 3-Way 600W speakers are just for you! If you’re looking for overwhelming audio that everyone will notice, we definitely recommend these. These speakers feature absolutely insane power that can blow the roof off of your vehicle – if you’re looking for one of the most powerful 5.25-inch speakers available, these are the ones for you. Top the 600W off with a 100% oxygen free copper voice coil and a frequency response range of 50 – 20,000 Hz and you’ve got some pretty killer speakers. We placed these speakers lower on the list simply for the risk of distortion and blowout at maximum volume levels. While not common with these, it is a risk if you’re not careful with your speakers. For solid entry-level speakers that provide insane audio power at a great price, definitely keep these on your list when you’re shopping around. Rounding out our list is the BOSS Audio P55.4C 300W 4-Way speakers. Just because they’re last doesn’t mean that you’re sacrificing on quality – these are an incredible value and provide exceptional audio quality. If you’re looking for entry-level speakers, these are the ones for you. These speakers are great for someone looking for cheap speakers that produce very loud audio – these may not be the best for someone looking for high-end equipment, which is why they are last on our list. However, they’re still great speakers for the price and are perfect for someone with an entry-level project. It really depends on what you’re looking for specifically, but the top quality we recommend for a 5.25-inch vehicle speaker is durability. You don’t want to invest any amount of money in speakers that aren’t going to last. Chances are you’re looking to upgrade your speakers to handle maximum audio output, and you don’t want a speaker system that’s going to blow the first time you use it. First of all, welcome to the fun world of vehicle speaker systems! There are a few things you should consider when you do your research on speaker systems. Price can be a deterrent to any audiophile, regardless of how experienced you are with speaker upgrades. Do thorough research about what you’re looking for and what a realistic price expectation is for your speaker system needs. Another very important component of purchasing speakers for your vehicle is vehicle compatibility. It’s never a fun feeling when you purchase something that doesn’t go with your vehicle! Understanding the different sizes and styles of speakers will help you avoid that mistake. This one is pretty self-explanatory – it doesn’t make sense to purchase speakers that are known for poor audio quality! That’s why we always recommend speakers with some of the best sound quality ratings out there.